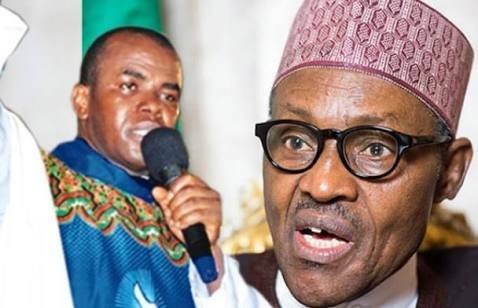 Home » LIFESTYLE » Father Mbaka Warns Buhari, Others Of Impending "Danger"
Father Mbaka Warns Buhari, Others Of Impending "Danger"
He outlined actions they must take. His words; “From the councilor to the Igwe and everyone in the rank of leadership. To the people who called themselves Senators, who are busy messing up the country in the name of lawmaking and those who are hovering in the House of Representatives, who are they representing actually? They are representing the disaster that is coming. “All of them should go (to) the Bishops of this country and kneel down; lie down. President Buhari, if you don’t do this, you’ll know that a man of God has spoken.